Update - while the 'competition' part of Taco Wars is sold out, it's open for anyone to go in and eat, drink and party after 6pm for just £3 on the door. Most of the Tacos will still be available to eat. 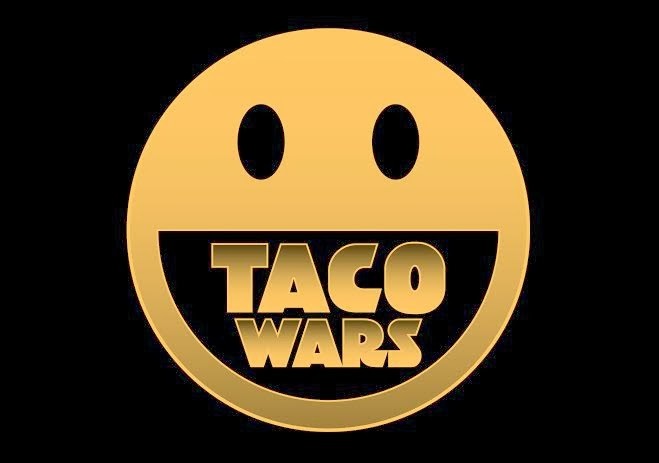 Having spent the winter involved in Hawker House, Tweat-up's first signature event of 2014 has been announced as Taco Wars 2014, at Hawker House E2, on Saturday 29th March. It's a battle between 8 taco makers, with the eating public voting on the winner. Full details below, the the most important thing to know is that tickets go on sale on Tuesday 11th. Last year it sold out in minutes - don't miss it this year. "Tweat Up returns this March with Taco Wars, the annual taco competition that pits eight top chefs against each other to battle it out for the title of Britain’s Best Taco. Taking place on 29th March at street food stronghold Hawker House, ticketholders will get the chance to sample eight tasty tacos, each created specially for the event, before choosing which trader will take home The Cuervo Cup and a £2,000 cash prize. The £35 ticket includes; eight great tacos, a festival-sized pint of Pomegranate Margarita, a beer and an ice cream taco from sweet treat specialists Sorbitium. Starting at noon, taco-tasting goes on until 5pm, with the winner announced at 6pm, meaning plenty of time to make the rounds and decide your winner. Last year’s winners Luardos, who vanquished the competition with their beer battered king prawn taco, will be back to defend their crown, competing alongside Street Feast veterans Breddos Tacos, authentic Mexico City traders Santo Remedio, Kimchinary with their Korean/LA fusion tacos, B.O.B’s Lobster with fresh tuna tacos, Rita’s Deep South tacos and many more…. Throughout the day Rotary Bar and Jose Cuervo will be serving up pint-sized classic Mexican cocktails including Pomegranate Margaritas, Blood Orange Margaritas, Palomas and El Diablos as well as Tamarind and Chilli Frozen Margaritas from the Cuervo Frozen Margarita Machine and of course the infamous Chilliback (a shot of tequila chased with a shot of Breddos pickled habanero juice). From 6pm ‘til Midnight, a dedicated Tequila Bar will open, with a selection of top tequila cocktails, including the whole Jose Cuervo portfolio, mixed by Milk & Honey bartenders and Cuervo’s Gabriela Mondaca. After the competition, doors will open at 6pm for the last ever Hawker House, where anyone who missed out on Taco Wars tickets (last year the first round sold out within a few hours) can sample the eight contenders, alongside street food from the best Street Feast specialists Yum Bun, Rola Wala, Breddos Slider Bar and Street Vin. Tickets to the Hawker House closing party are £3 per person on the door, with Taco Wars ticketholders gaining free entry."